Six awards in four categories were given at the 24th annual awards ceremony and country supper on May 18. In addition the Awards Committee made two special commendations. Contributing Editor Marianne Leese writes about a lost but fondly remembered landmark and a recent dedication ceremony for all we may have left of it. The Jacob J. Blauvelt House wins this elite designation in New York State. 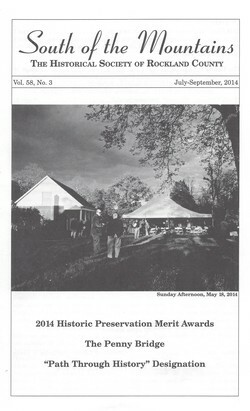 At the Preservation Merit Awards Ceremony, May 18, 2014. Photographed by Dorice Madronero.